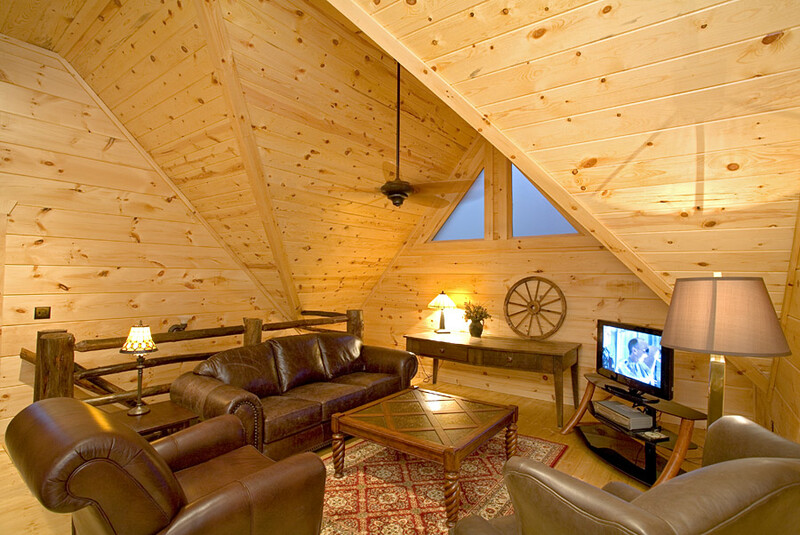 Loft Sitting Area—Perfect Retreat for Teens In Your Group! 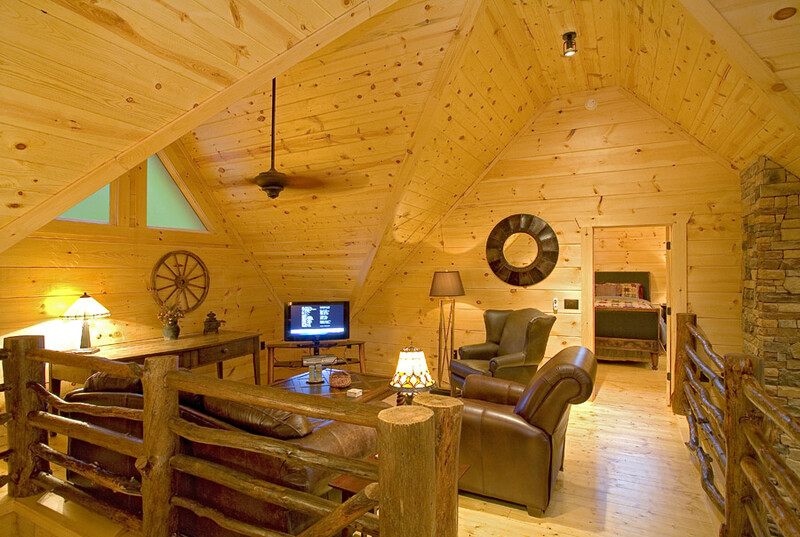 Many Blue Ridge cabin rentals feature spectacular breath-taking views, comfortable rustic décor, close proximity to Blue Ridge, GA and adventurous activities, as well as luxurious amenities that you expect, but not all of them offer all those things plus the space to accommodate 10 guests. 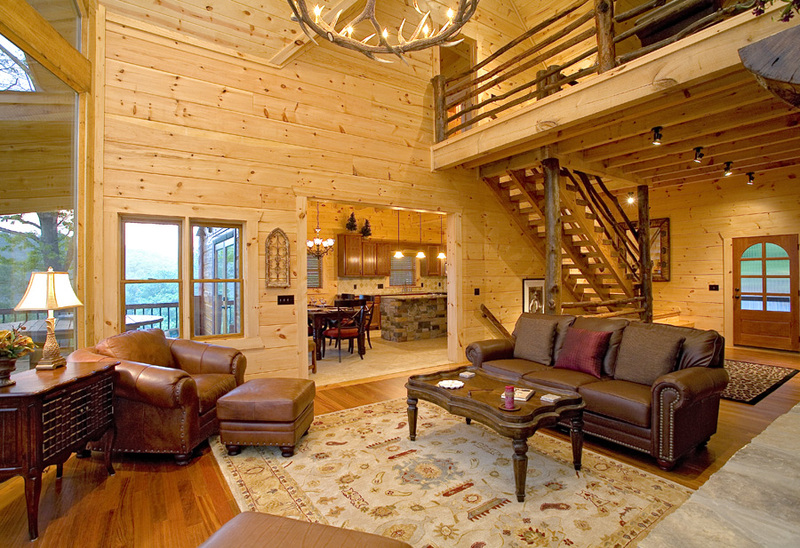 At Outlaw Ridge, a luxurious 5 bedroom/5.5 bath Toccoa River cabin rental in the North GA mountains, not only will you enjoy spacious accommodations, but the lofty views of the winding white waters of the Toccoa River against the backdrop of the Blue Ridge mountains will thrill and delight you. 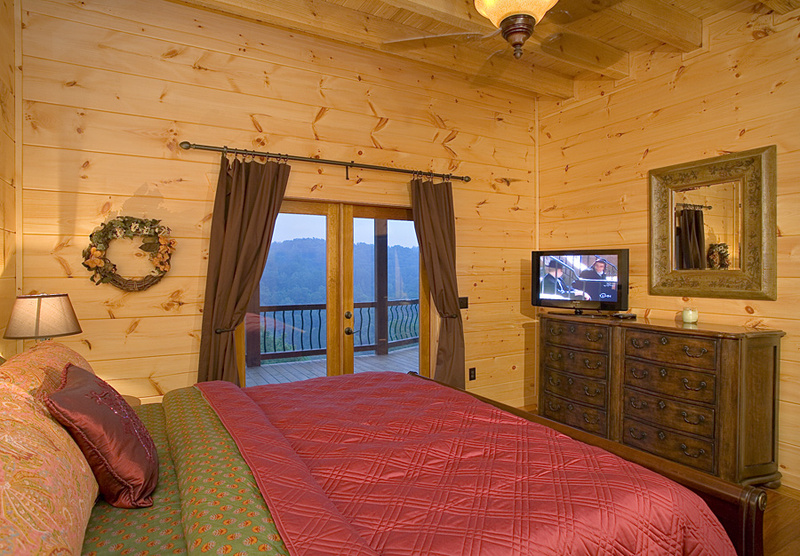 Perched high on a ridge, Outlaw Ridge boasts million dollar views of the North GA mountains and the Toccoa River below. 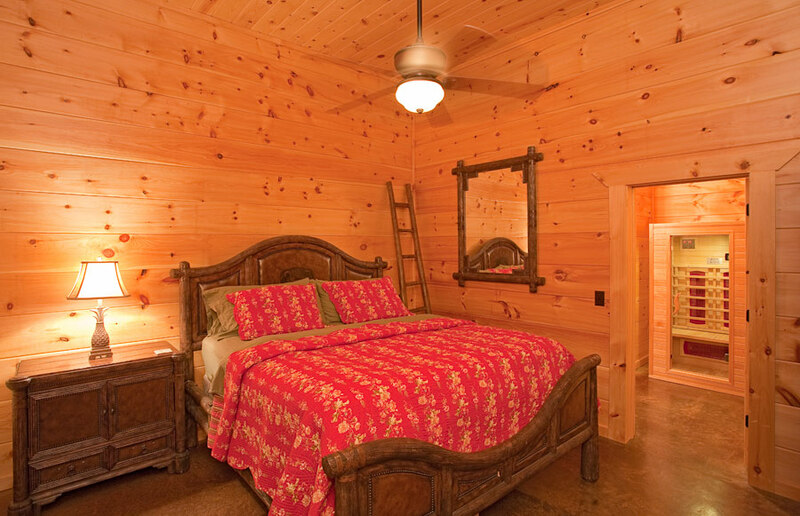 Accommodating 10 guests in 5 spacious bedrooms with private en suite bathrooms, this luxury Blue Ridge cabin rental is ideal for family reunions, business retreats, or even a romantic rendezvous for two. 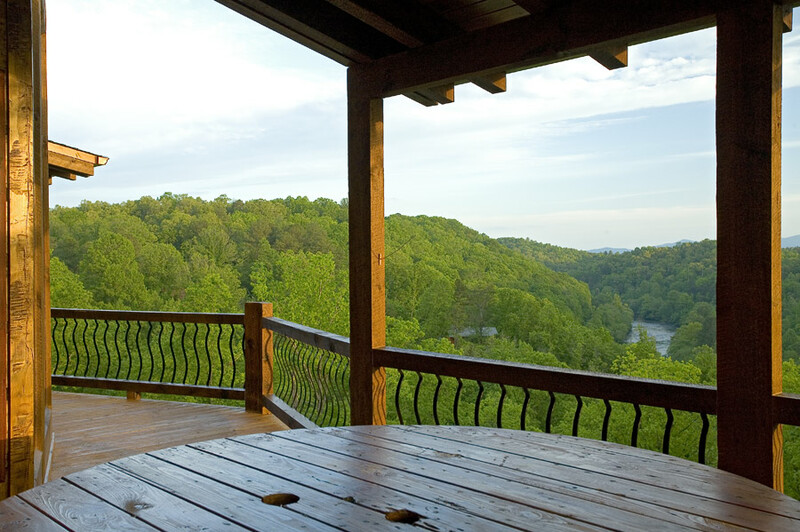 For those seeking peace and serenity or excitement and adventure, Outlaw Ridge is ideally situated in a private community just 9 miles from downtown Blue Ridge, GA and 30 minutes from the Ocoee Whitewater Center where you can enjoy hiking, biking, whitewater rafting, and more. 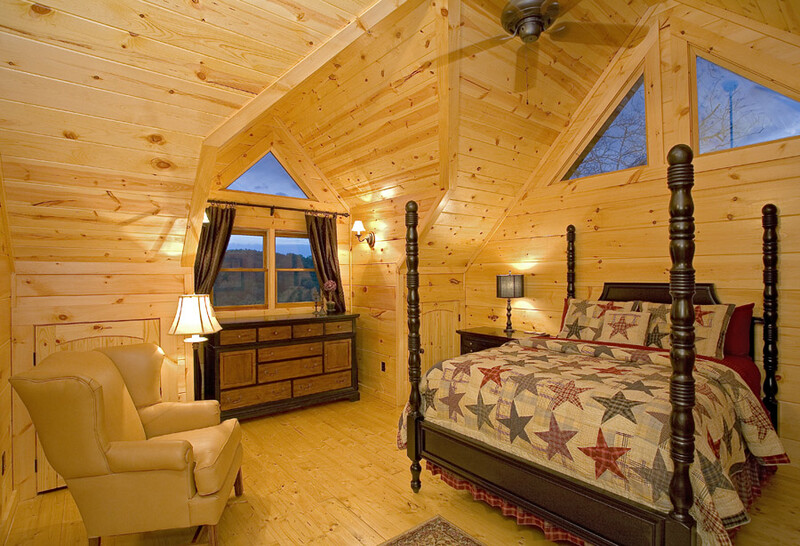 As you explore the grounds of this luxury Blue Ridge cabin above the Toccoa River, you will discover a 200-foot staircase or a private hiking/walking path that will take you all the way down the mountain to the railroad tracks so you can watch the Blue Ridge Scenic Railway go by, and then to the edge of the Toccoa River where you can enjoy 650 feet of river frontage property. 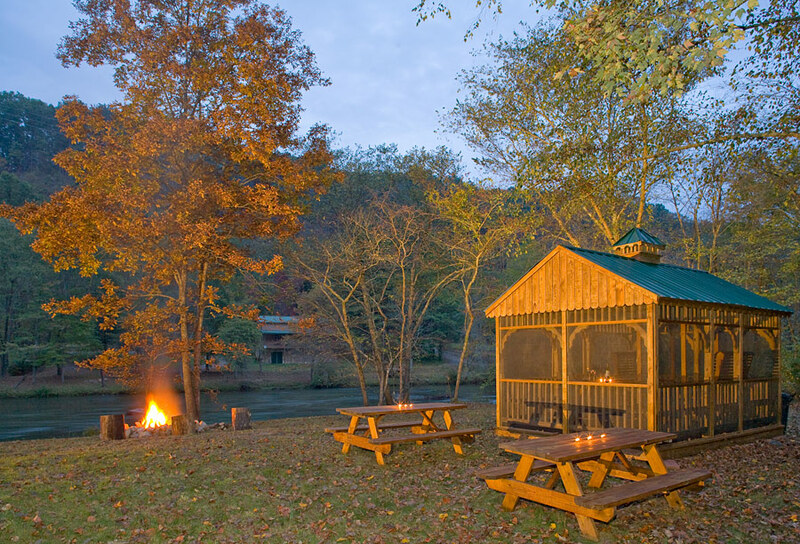 Take a picnic down to the river and find a picnic table, a gazebo, and a fire pit. 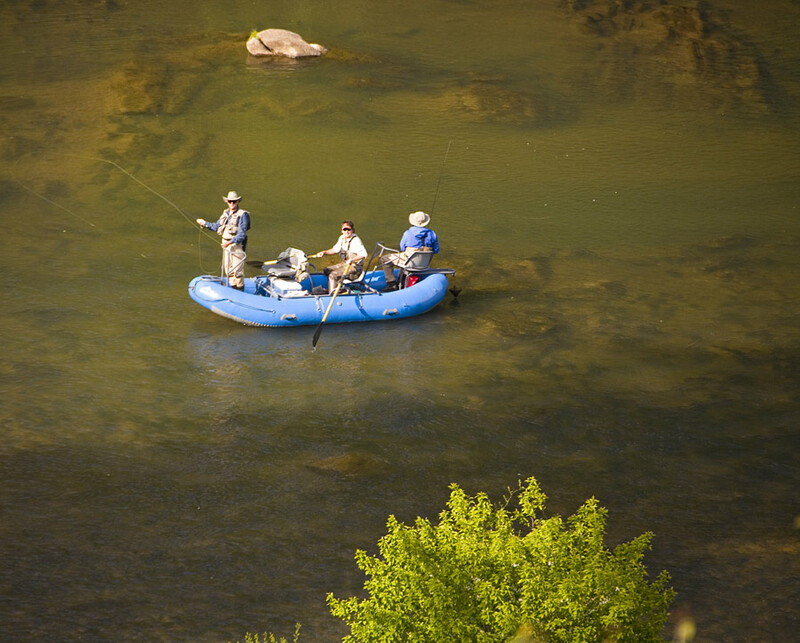 Enjoy trout fishing right where the Cherokee Indians built their rock fish trap. 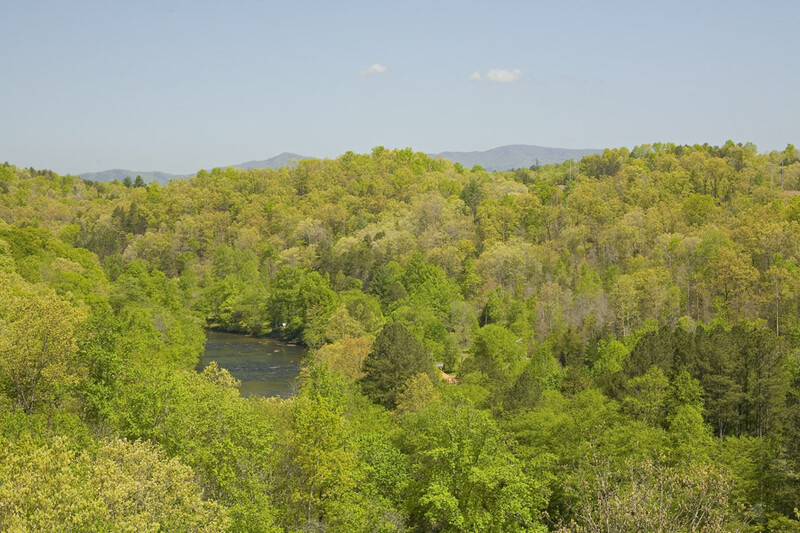 If you put a tube in at the property, you will float northward into McCaysville, GA where you can take out at any spot. 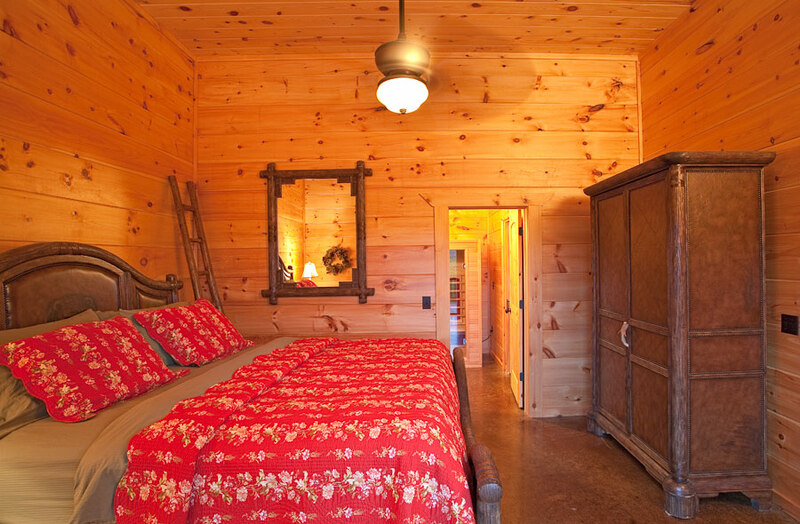 It’s an easy 10 minute drive into McCaysville for someone to pick you up, and while you’re there, enjoy casual dining and outdoor cafes. 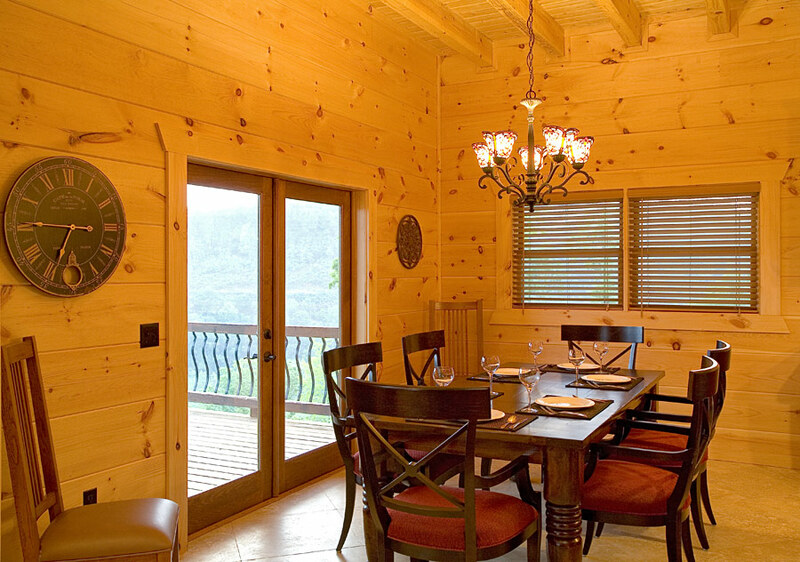 At the end of an exhilarating day of adventurous exploring, commune together in the kitchen and living area, sipping wine and preparing a delectable meal with open french doors to the fresh mountain air. 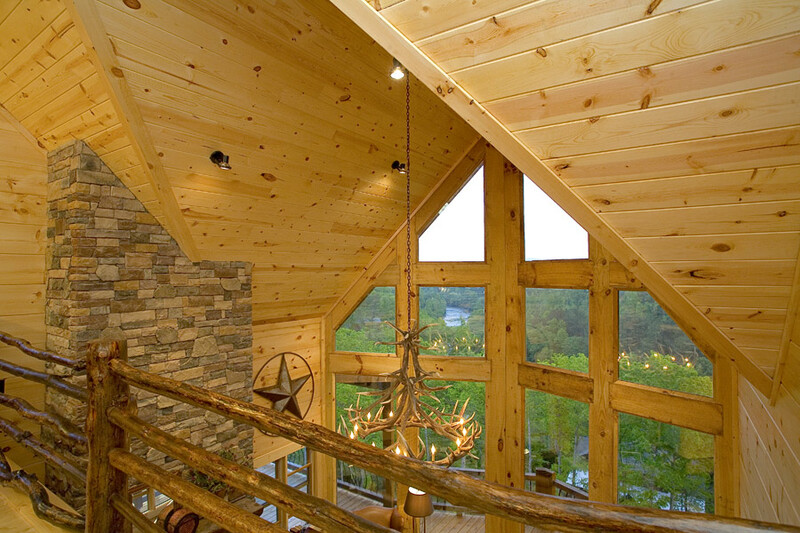 Come together in the cathedral-ceiling living area w/ the two-story prow windows and massive stone wood-burning fireplace to relax with family and friends. 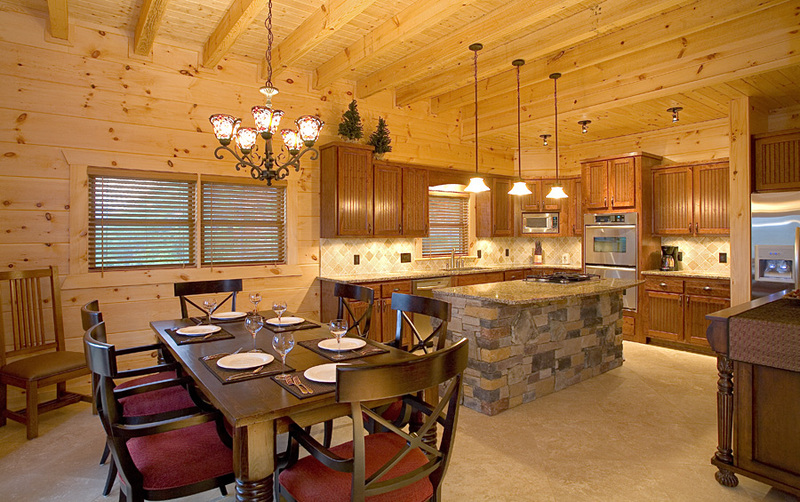 Or step outside and keep the grill master company while sitting at a custom-made spool table w/ tall bar stools. 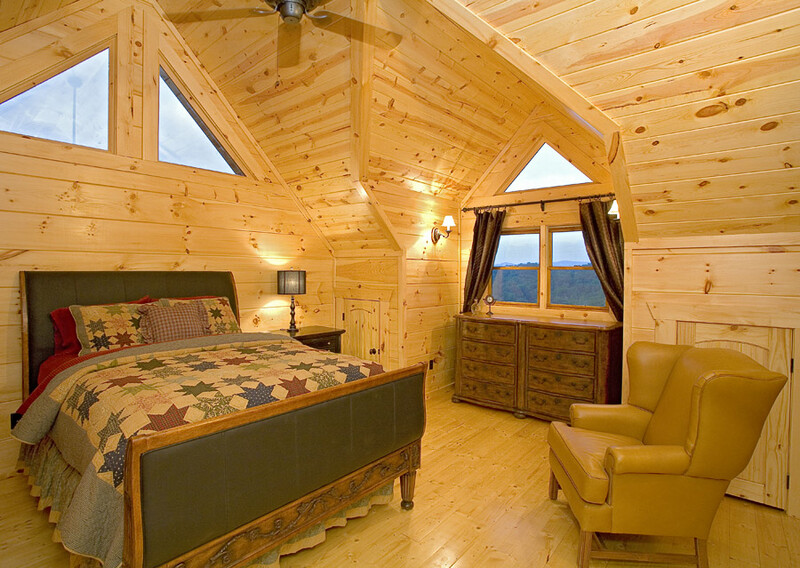 The views are spectacular and memorable from this vantage point! 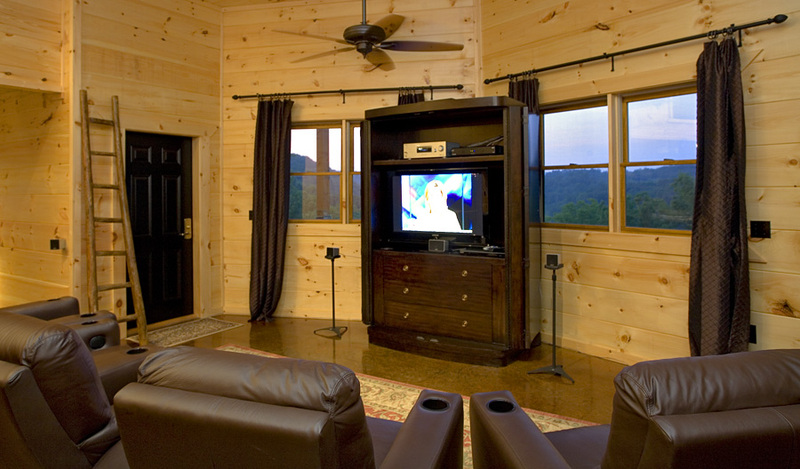 For evening entertainment head downstairs to the terrace level and enjoy a friendly game of ping pong, or sink into the leather reclining movie chairs and watch your favorite movie. 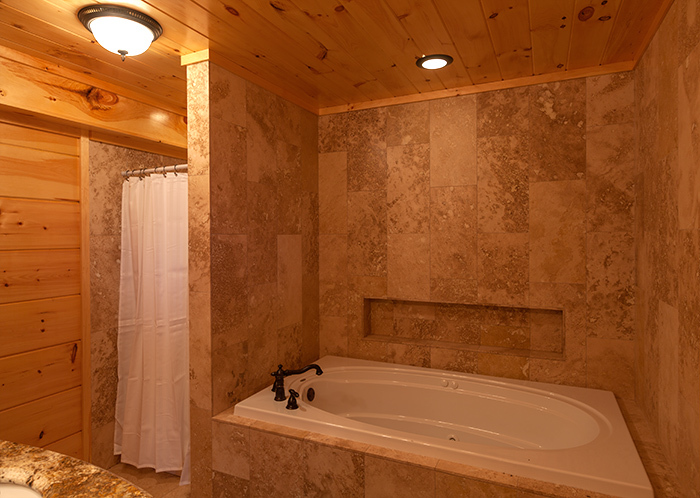 For those who want to soak in the hot tub, just step outside, lose yourself in total relaxation, and savor the Blue Ridge mountain views. 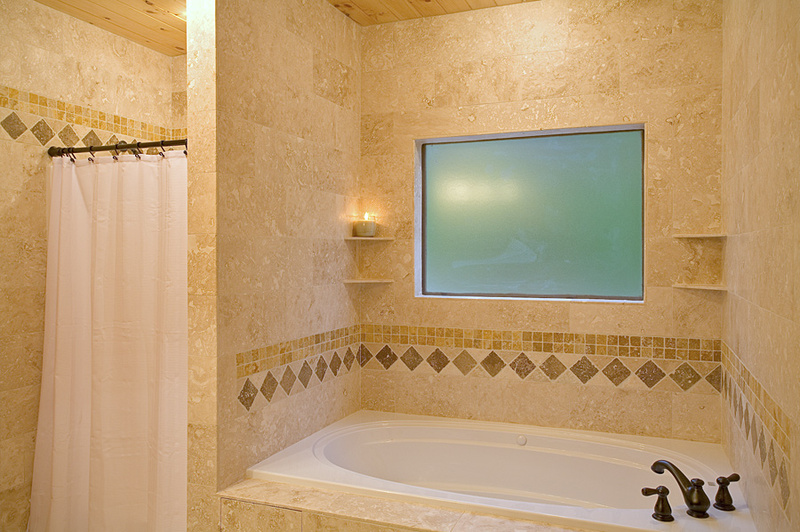 When it’s time to turn in for the night, you will find restful repose in your own private bedroom and en suite bath. 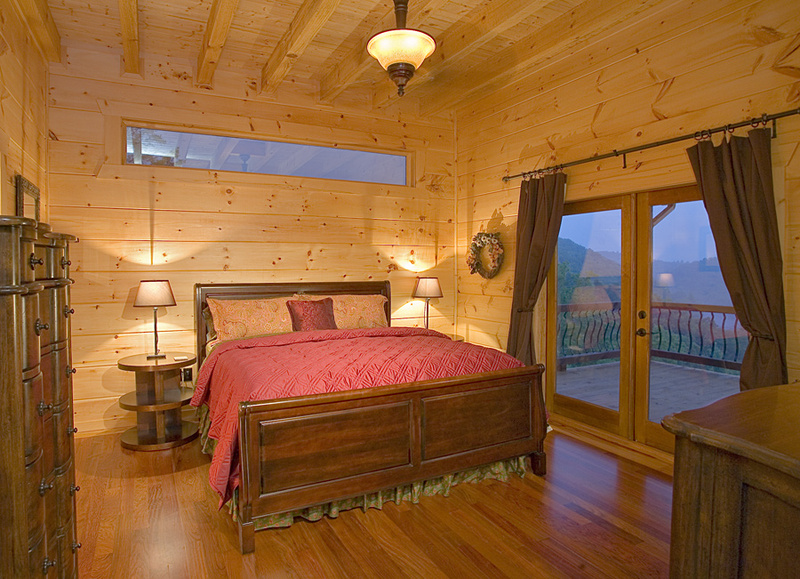 Sinking into luxurious sheets and pillow-top mattresses, you will have the best sleep you’ve had in a long time. 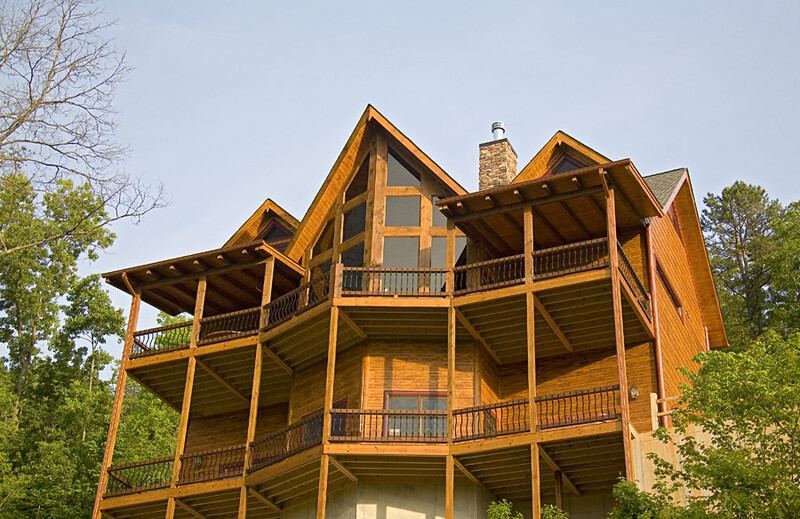 Ideal for business retreats or family reunions, Outlaw Ridge is located next door to Riverview Lodge and down the hill to Fallen Timber Lodge, both offering the same floor plan. 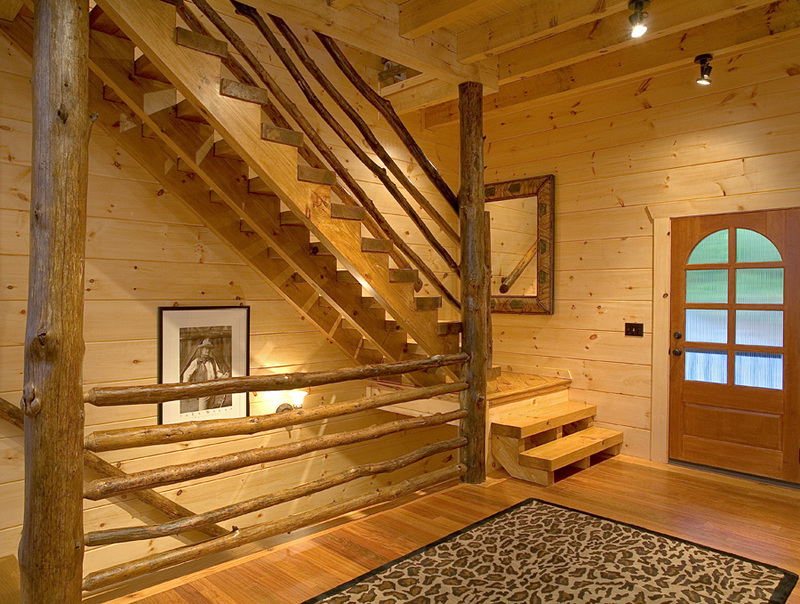 Less than ¼ mile down the road is Mayfly Lodge & Treehouse and A Rolling River Cabin. 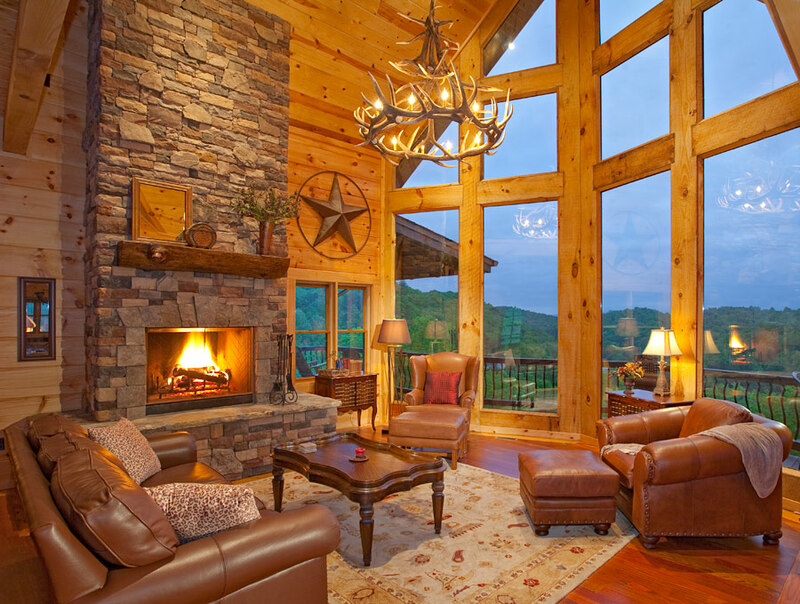 Outlaw Ridge is sure to please even the most discerning vacationer with incomparable luxury and views that are truly awe-inspiring. 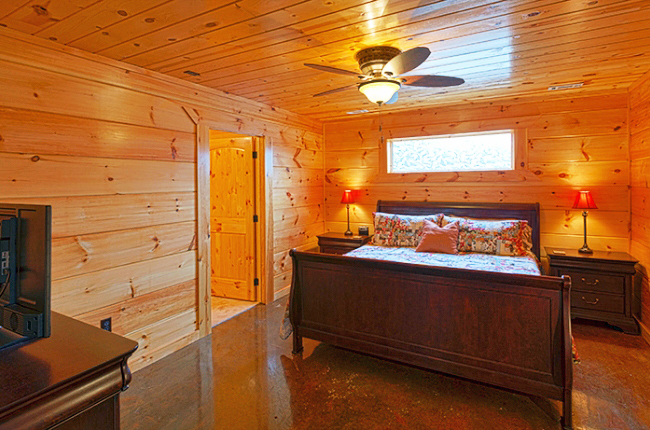 No expense has been spared in this luxurious Toccoa River cabin rental, and we know that you will have found your home-away-from-home once you've stayed here. Outlaw Ridge is Always Great! Awesome!! Came here a few times in the past. Outlaw Ridge is always great! !